Miss Pettinger (teacher) - about 3rd grade - which would be about 1922. Description Scanned as b & w; corners torn and creased; spots. Same as 356a which has additional information. 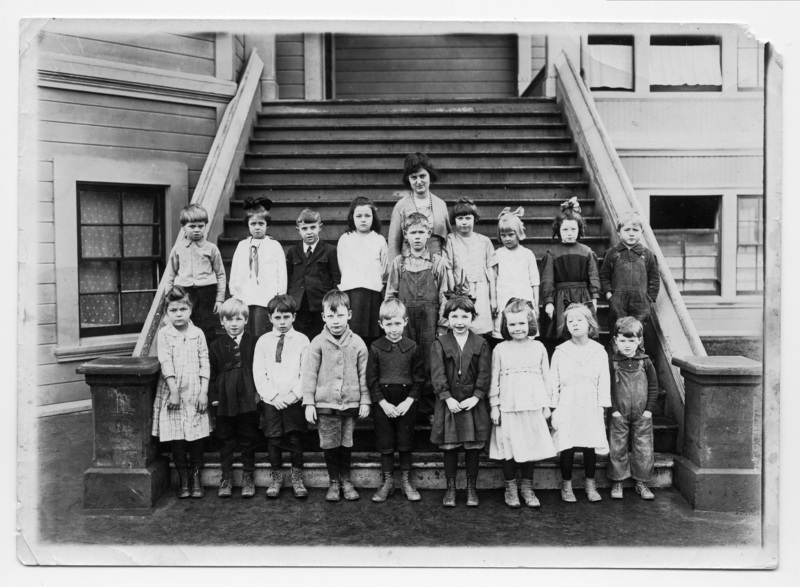 Transcription Miss Pettinger (teacher) - about 3rd grade - which would be about 1922.